Below you fill find all funeral homes and cemeteries in or near Fenton. Fenton is also known as: Genesee County / Fenton city. Their current mayor is Mayor Cheryl King. Zip codes in the city: 48430. Some of the notable people born here have been: Ron Rolston (coach), Jill Ann Weatherwax (model), and Troy Donnay (ice hockey player). 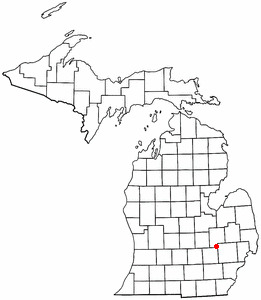 Fenton is a city in the U.S. state of Michigan that lies mostly in Genesee County, with small portions in neighboring Oakland County and Livingston County. It was written by The Owosso Argus on March 17th, 2019 that Anna Flores perished in Fenton, Michigan. Flores was 86 years old. Send flowers to express your sorrow and honor Anna's life. It was revealed by The Daily Tribune on January 17th, 2019 that Ronald Leslie Moses perished in Fenton, Michigan. Moses was 70 years old. Send flowers to share your condolences and honor Ronald Leslie's life. It was disclosed by The Daily Tribune on November 8th, 2018 that Dale Allen Weber passed on in Fenton, Michigan. Weber was 88 years old. Send flowers to share your condolences and honor Dale Allen's life. It was disclosed by Ann Arbor News on November 4th, 2018 that Michael David Webster perished in Fenton, Michigan. Webster was 45 years old. Send flowers to share your condolences and honor Michael David's life. It was written by The Daily Tribune on October 24th, 2018 that Elizabeth Ann "Betty" Leonard (Western) died in Fenton, Michigan. Ms. Leonard was 87 years old. Send flowers to share your condolences and honor Elizabeth Ann "Betty"'s life. It was revealed by The Daily Tribune on July 12th, 2018 that Steven King Ballard passed on in Fenton, Michigan. Ballard was 56 years old. Send flowers to express your sympathy and honor Steven King's life. It was noted by Ann Arbor News on May 13th, 2018 that Madelon F "Maddie" Vanriper passed away in Fenton, Michigan. Vanriper was 85 years old. Send flowers to express your sympathy and honor Madelon F "Maddie"'s life. It was reported by The Daily Tribune on April 18th, 2018 that Glen E Nichols passed away in Fenton, Michigan. Nichols was 67 years old. Send flowers to share your condolences and honor Glen E's life. It was disclosed by Kalamazoo Gazette on February 27th, 2018 that Joann Corsiglia (Austin) died in Fenton, Michigan. Ms. Corsiglia was 91 years old. Send flowers to express your sympathy and honor Joann's life. It was noted by Canton Observer on February 25th, 2018 that James B "Jim" McKeon passed away in Fenton, Michigan. McKeon was 92 years old. Send flowers to share your condolences and honor James B "Jim"'s life. Urban Renewal passed by a narrow margin. During the December holiday season, the festivities include Jingle Fest and a New Year's Eve celebration. An entirely new neighborhood, Silver Lake Village has been built around a contemporary open-air shopping area. The city's original name survives as the name of one of Fenton's neighborhoods. US Highway 23 runs through the city. The official website for the city of Fenton is http://www.cityoffenton.org/. As Virgil followed in the funeral procession, he watched as the hearse ... the act will perform Flint, Michigan at MoDoggies in Fenton. I cant wait, Virgil said about the show. The owner of MoDoggies has really embraced the band. Temrowski Family Funeral Home & Cremation Services offers funeral home and cremation services to the Fenton, MI area. Call us at 810-629-2533 today. Sharp Funeral Homes, Fenton, MI : Reviews and maps - Yahoo! Local, 810.629.9321. Get Ratings, Reviews, Photos and more on Yahoo! Local. We work with local florists and flower shops to offer same day delivery. You will find budget sympathy flowers in Fenton here. Our funeral flowers are cheap in price but not in value.